Washington, August 18 : Organic nano-scale wires may serve as an alternative to silicon in computer chips, according to a collaborative team of Chinese and Danish researchers. Nanochemists from the Chinese Academy of Sciences and the Nano-Science Center, Department of Chemistry at the University of Copenhagen, say that they have created nanoscale electric contacts out of organic and inorganic nanowires. London, August 17 : The world's smallest laser, contained in a silica sphere just 44 nanometres across, and about 10 times smaller than the wavelength of light, has been unveiled. According to a report in Nature News, the laser has been named as the `spaser'. Whereas a laser amplifies light, using a mirrored cavity to intensify it, a spaser amplifies surface plasmons - tiny oscillations in the density of free electrons on the surface of metals, which, in turn, produce light waves. Washington, August 12 : All computers at Heidelberg University Hospital in Germany may soon be installed with an innovative electronic system called AiDPainCare, which can make pain therapy more effective and better tolerated, besides reducing cancer patients’ fears of pain. An articled published in the journal Pain says that the electronic pain relief guide has been successfully tested at the hospital. Coming soon at Heathrow: driverless cars with bug-eyed windows! London, Aug 12 : Battery-operated driverless cars with bug-eyed windows will soon be carrying passengers at the Heathrow Airport. The bubble shaped vehicles look like a capsule and their doors fold back like butterfly wings. With a grey-and-white interior and seating space for four people, a “start” button on the wall makes up for the lack of a driver. Passengers programme their destination on a touch screen, and the car takes its own lane at a speed of 25 mph. Martin Lowson, who worked on the Apollo launching Saturn V Rocket, has made the car. Lowson started the work on this car in 1995 and the cars will start operating at Heathrow next year, ferrying passengers from the parking lot to Terminal 5. Tata Communications, the leading provider of state-of-the-art infrastructure solutions for the banking and financial sector, today said Dattatraya Mahraja Kalambe Jaoli Sahakari Bank Limited (Jaoli Bank), one of the renowed and leading co-operative banks of Maharashtra, has chosen it to implement hosted core banking solution (H-CBS) for the bank. San Francisco - Microsoft Corp is to hire 400 workers from Yahoo Inc as part of their deal announced last week to collaborate on search advertising, the companies said in a regulatory filing. The two companies are also to jointly select 150 other Yahoo employees to help with the transition of Yahoo's search and related advertising systems to Microsoft technology, they said Tuesday. In other details that emerged about the 10-year deal, the companies said the agreement could be terminated in July 2010 by mutual consent. State-owned telecom giant, Bharat Sanchar Nigam Ltd (BSNL), having more than 40000 towers across the country, is expecting revenue of Rs1000 crore through telecom infrastructure sharing business, a concept through which telecom companies are eying on reducing their costs to mitigate the impact of global slowdown. The state-run firm is working towards sharing its passive and active infrastructure through a Master Sharing Agreement (MSA) under advanced stages of talks. The company will also hire Infrastructure Providers (IPs) to expand its mobile network in different states. Microsoft Inc has launched Dynamics POS 2009, a premises-based offering, in lines with its Dynamics product line, to serve mid market retailers. The product with out-of- the-box functionality is supported by SQL Server Express, which can also be customized using a software development kit (SDK). Western Digital has recently launched mobile hard drive series Scorpio Blue 2.5 in India. The drives are powered by 333GB-per-platter technology, and have huge capacity to store data - offering storage up to 1 TB. Sharad Srivastava, Director India and South Asia, Western Digital, said: "Our new WD Scorpio Blue drives enable people to take even more of their digital collections with them wherever they go and, realizing the value of their data, back up their notebooks on their My Passport drives." San Francisco - Internet surfers have downloaded the open source Firefox browser more than one billion times, the software's distributor, the Mozilla Foundation, said Friday. The browser is the strongest current rival to Microsoft's Internet Explorer, which once controlled over 90 per cent of the browser market but has seen its dominance steadily eroded by Firefox. Firefox now accounts for some 22.5 per cent of all active browsers, compared to Microsoft's 65 per cent share, according to the tracking firm Net Applications. San Francisco - Chinese hackers have cracked the activation codes for Windows 7, less than a month after Microsoft released the first copies of the new operating system to computer makers, technology news site CNET reported Thursday. 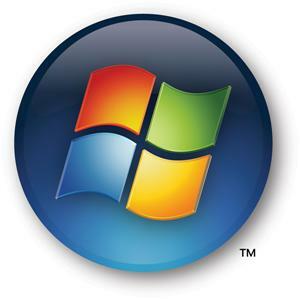 The crack will allow fully functional, copied versions of the Ultimate Version of Windows 7 to be distributed over file-sharing sites even before the operating system is released to the public in October. 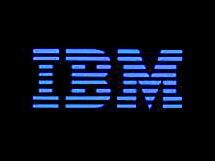 New York - IBM has reached a deal to buy business intelligence software company SPSS for 1.2 billion dollars, it announced Tuesday. Chicago-based SPSS makes software that mines data for predictive analysis, allowing executives to make better business decisions. The company had revenues of 303 million dollars in 2008. IBM said the all-cash transaction valued SPSS at 50 dollars a share. The Nortel auction - which was triggered this spring with Nokia Seimens’ voluntary $650 million bid, which set the floor price - had three bidders: Ericsson, Nokia Siemens Networks, and distressed debt investor MatlinPatterson Global Advisers LLC. 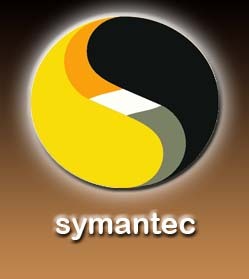 Symantec researchers said on Wednesday that they have discovered attacks in the wild whereby malicious Acrobat PDF files exploit a Flash vulnerability, and drop a Trojan onto computers. Building on its current tie-up with Juniper Networks Inc, International Business Machines Corp (IBM) Wednesday announced having signed an OEM (Original Equipment Manufacturer) deal with Juniper. The new agreement - which reflects the companies' common goal of furthering the economics of networking via reduction in costs, improved services and better risk management - would allow IBM to rebrand and resell Juniper's Ethernet networking products and support, including switches and routers, as a part of the IBM data center range of products. San Francisco - Yahoo launched a redesigned home page Tuesday, allowing users to incorporate a wide range of outside sites and services into one of the most popular destinations on the internet. The move by the popular web portal comes as it faces increased competition for user eyeballs from social networking sites like Facebook and Twitter, and as Google holds a steady 2-to-1 lead in search queries in the US. Yahoo is reported to be in advanced talks with Microsoft to merge their search businesses to better compete with Google on search. San Francisco - Forty years after man first set foot on the moon, web pioneer Google launched what could be the ultimate guide to the earth's natural satellite. Google on Monday updated its popular mapping software Google Earth with a complete map of the moon that allows you to explore craters, historic sites and human artifacts. The program even allows you to fly over the surface like a would-be astronaut. Giving the latest indication that its Office 2010 is on schedule for an early next year release, Microsoft Monday launched its "technical preview" for a selected group of technology-savvy testers. Alongside the scheduled launch of the paid, desktop offline version of Office 2010, Microsoft also intends launching a free Web version of Office - called the Office Web Apps. New vulnerability discovered in Mozilla’s Firefox 3.5.1 update for TraceMonkey! However, even with Mozilla's efforts to address the mentioned vulnerability in its Just-in-Time (JIT) compiler, there are fresh reports already of another vulnerability affecting Firefox 3.5.1 - which, according to security experts, might make other Firefox versions vulnerable as well. Verizon to limit the length of handset exclusivity deals to 6 months! In a move that would potentially enable smaller carriers to offer popular phones with increased rapidity, Verizon Wireless announced on July 17 that it intends shortening the length of its handset exclusivity deals - limiting the term to six months. The proposed move from Verizon - which has exclusivity deals with handsets like the BlackBerry Storm, BlackBerry Tour, LG Chocolate, and Samsung devices - coincides with the increased governmental pressure that most carriers are facing in terms of their size and exclusive deals that prevent other carriers from offering specific handsets.